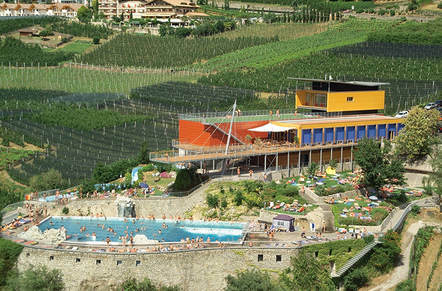 Our yoga temple is located above Merano in the beautiful Lido Scena. Here we have created a cozy and relaxing oasis of wellbeing, where everyone is welcome and can enjoy life to the fullest. Let's ignite the fire in our heart to live our inherent potential to the fullest. 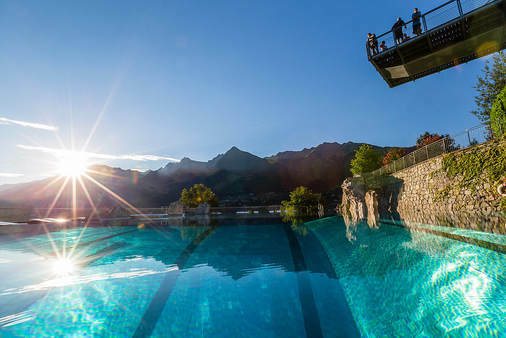 Every year in May, Patrick opens the doors to the swimming pool, where you can enjoy a fantastic panoramic view over the mountains and landscape. The park invites you to simply do nothing at all and let your mind wander ... and in between you can jump into the smooth water. It is probably the most beautiful Lido in the world and always worth a visit. where we drop our daily life for a moment to breathe deeply, to open our hearts, to draw strength and to get inspired. My vision is to provide YOU a space where yoga is more than a physical practice, but a path to deep healing, spirituality and wellbeing. Prana is the essence of our life force, which we collect through breathing, food, sun and joyful moments. Therefore, we love to enjoy the beautiful garden. Often we practice yoga on the roof terrace with panoramic views over the mountains and enjoy a part of our teacher training in the garden. 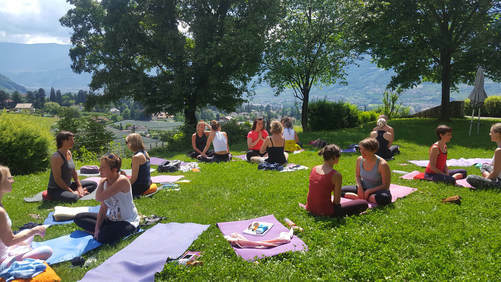 Every year, we offer you a great program in the field of yoga, massage and mindfulness, where we not only inspire the whole of South Tyrol, but also welcome international guests to the beautiful Lido in Scena. Jai! 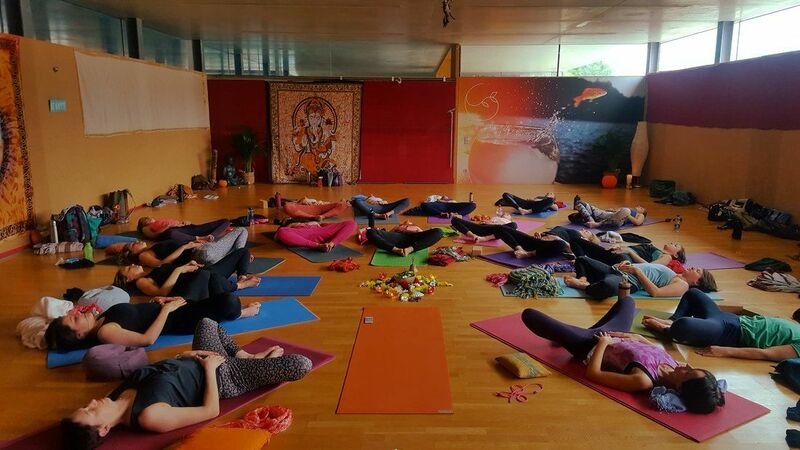 Our yoga temple is a wellness oasis, a place of rest and relaxation where different massage and energy work are offered. With Thierry Bienfaisant, I have a strong partner with more than fifteen years of experience in Western and Far Eastern methods of holistic wellbeing. He is a therapist and instructor of Thai Yoga Massage & Anathai, and teaches how to balance body, mind and soul and activate your own self-healing powers. Our goal is to re-activate the flow of energy in the body, to release blockages and to touch the soul in a salutary way. Be Happy – Be Light – Be YOU!